About 8 or 9 months ago I read about a new light on the market, the Orcalight Seawolf 2260; I commented on the article about the price and how it was a shame it wasn’t for the recreational market, Shane Newman (the MD of Orcalight) and I started chatting again more recently and he has taken a lot on-board from the diving community. 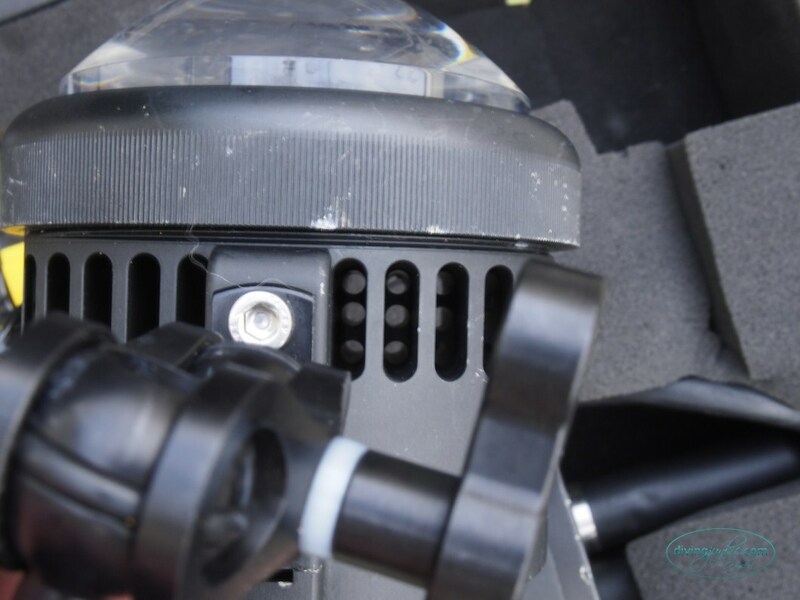 The light was originally developed for the professional film and documentary underwater videographer market, and at just over £2300 (inclusive of VAT) made it something that is an investment for them. 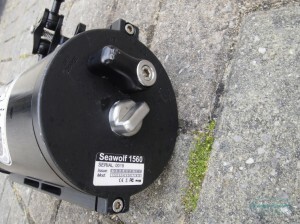 With an engineer behind the design and British production of the LED, housing, batteries and lenses it is understandable at the high price for a limited market The great news is that they have just released a new version with less power but still the great build quality and service that comes in buying the top end 2260; the Orcalight Seawolf 660 is aimed at the recreational market with more improvements to the range on the way. So if it impressed a professional who makes a living from filming the things we have the privilege to see when we go diving, taking pictures or video with lights and strobes from their many well placed competitors to share with our friends and relatives, it is going to blow you away, as it did me. I was loaned the demo lights (which I will get onto shortly) to try them out, I had to go and meet Josie, the young lady in Plymouth who is one of the people working with Shane to help promote and develop the lights, as it was getting dark we met in a secret location (a supermarket car park), we joked about how it was like the most awesome spy mission ever, collecting a large Peli case without drawing attention to ourselves and when I got them home I was gobsmacked by how good they are. 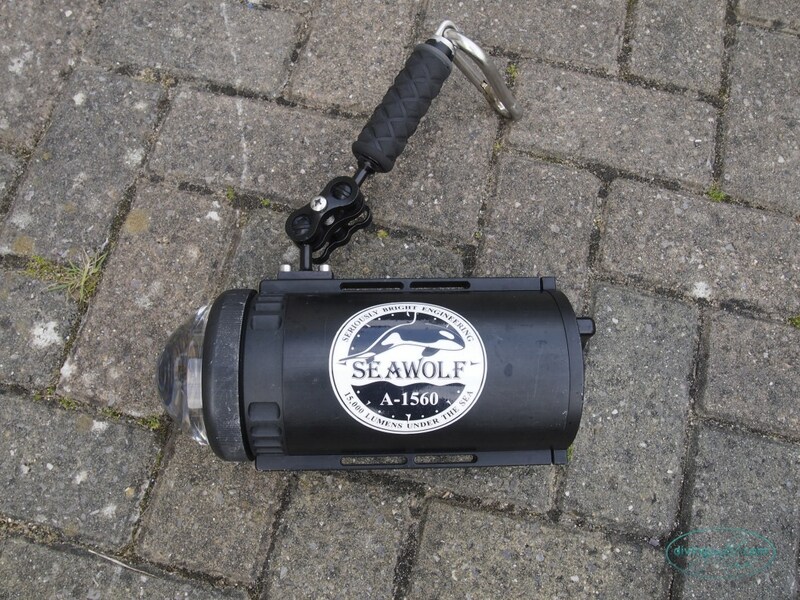 As a recreational diver it was a privilege to be loaned something so expensive to try out, as I was loaned the Orcalight Seawolf 2260 and 1560 as Shane hasn’t got a 660 for loan just yet, the idea being that I used the second setting on both lights, that way the 1560 would give off 10,000 lumens, the 2260 14,000 lumens and it would give an idea of the 660 at 12,000 lumens, I clearly had the intention of doing that, and playing with the higher setting while diving, just to see, because it was there and I could. When you buy your light, depending on which model, and which bundle you go for, you get between 1 and 6 batteries, 1 or 2 lenses of the 60,90 and 120 degree choice, and the light unit, or lamp head and canister. If you go for the 2260 it comes in a Peli case with plenty of spare room for another 3 batteries (with 3 in the unit), all 3 lenses, the charger and the allen key to take it apart in the field. 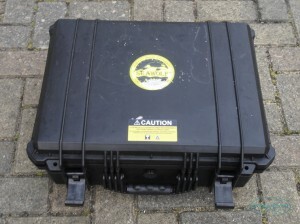 I am pretty sure there will be other things in the box, like the warranty paperwork, manual and the like in a new one but we work with what we see, and if you are lucky enough to be able to afford it all, there are tripods, umbilicals and surface power packs/generation for the serious enthusiast and professional underwater videographer or company. The basic package for the 660 comes with a lens of your choice from the 3, a battery and charger and is ready to go out of the box. So down to the important part of the investment anyone that purchases one of these lights needs to know. and why they are worth every penny whichever model you purchase (can you tell I like them). The housings are made of 6082 Aluminium, 316 Stainless, or Titanium on request, and coated in a 70 micron thick anodised coating followed by a PTFE coating that takes a fair knock, they are completely modular throughout the range, if you wanted you could in principle have the 660 lamp head in the 2260 canister set up but this would obviously cost a little more than the great price of the 660. The whole thing is modular in its design, sure there may be 2 versions, but as they are fully serviceable in the field (a requirement of the professional videographers) the design behind them is simplicity in itself. The lenses, which currently there are 3 of, 60°, 90° and 120°, are made of a very high quality spec optical resin with a precise refractive index and with the LED producing a finely balanced 118 lumens per watt of power from the battery (or batteries depending on which model you purchase) which are programmed for individual lights, so the time of construction in the UK by the team at Orcalight is a minimum of 3 days just in programming and testing to “tune” the driver to the LED and batteries which are also matched precisely to each other in sets. The batteries that Shane and the Orcalight team decided to use are the highest quality they could find, after approaching Sony and Panasonic the ones they chose have proven their worth as after 1 year of use in the demo lights and over 300 charge and discharge cycles, they still show they can take full charge unlike other batteries that loose the ability to hold that level of charge. 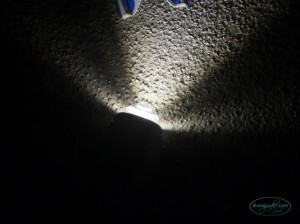 The built in safety for the lights is second to none as well, after 70 minutes they drop to the first power level, and provide an emergency back up for a further 30+mins giving a diver plenty of time to safely reach the surface from a cave system, wreck or depth with only a small back up torch that might be used at the end of the ascent. I only took the back of the lights off to take the batteries out to charge, this has been changed on version 3 by the inclusion of a charging port on the rear of all the units, this also doubles as a gas release if there is any ingress of water, because the way the guys have designed the units allows for a small amount to enter if it can, and keeping the batteries separate inside (with solid connectors for each battery) as they have, means if one gets wet and gives off gases the others may not, if it is not shaken around violently when in use. They are so well fitting that they are actually hard to prise apart, but the double o-rings on each end keep any flooding to a minimum, even the optics on the front forgive a leak from incorrect placement or a worn o ring; a simple rinse with clean water dry and re-use; it comes down to looking after your light as you would the rest of your kit and it will last for years. Very carefully I had to use the back of a table knife to start prising them apart (the new units now have push off pull on locking clasps), once they had moved less than a mm all round I was happy to start the task of pulling and gently rocking the end cap till it came off, it was actually a pleasing task as many lights of competitors I have seen are a lot less sturdy in contact and sealing, and while as divers we take every care to make sure even the smallest of hairs are not on the o rings the lesser lights can and do still flood. 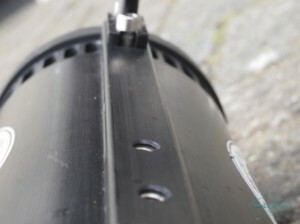 As I looked in the end of the canister (apologies but didn’t take pics) the craftsmanship showed through, the batteries could only go in one way and they slid out easily, the large connectors came apart easily, and went back together easily to allow them to be charged out of the unit. 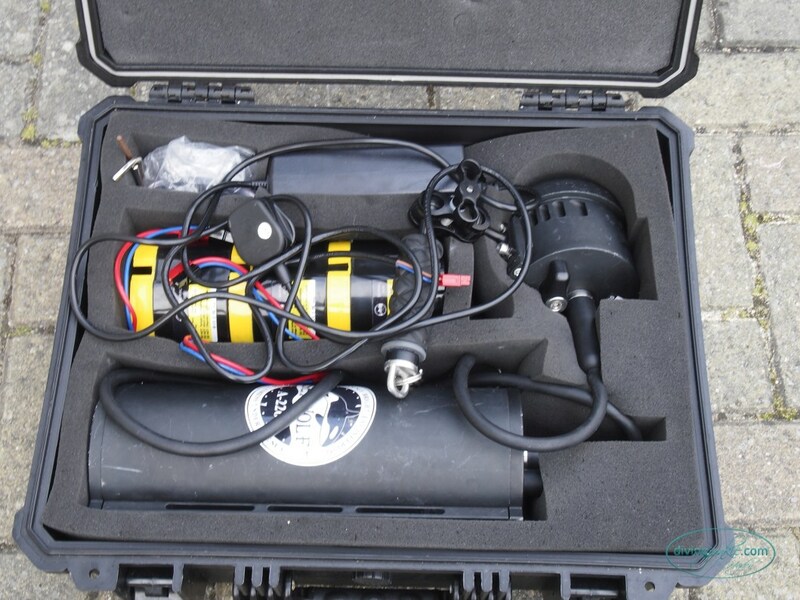 Josie advised me to charge the batteries for 3 hours, and while that is what I did, it did take a while with 4 batteries to charge which did seem like a pretty major issue for a recreational diver, yet these weren’t originally designed for that kind of use. The later models with the charging port have overcome having to charge the batteries separately, and with the knowledge Shane has am sure there shouldn’t be an issue of overheating the batteries while charging and damaging them like cheaper quick chargers do. Orcalight 2260 rear plate, older version. They have been rated at 150m depth for use, but that isn’t their limitation, they have been used at 400m by one customer for 1 1/2 hours (bottom time) on their ROV without any issues and worked perfectly (and still do). Each unit is tested in house to 200m before it is sent out. 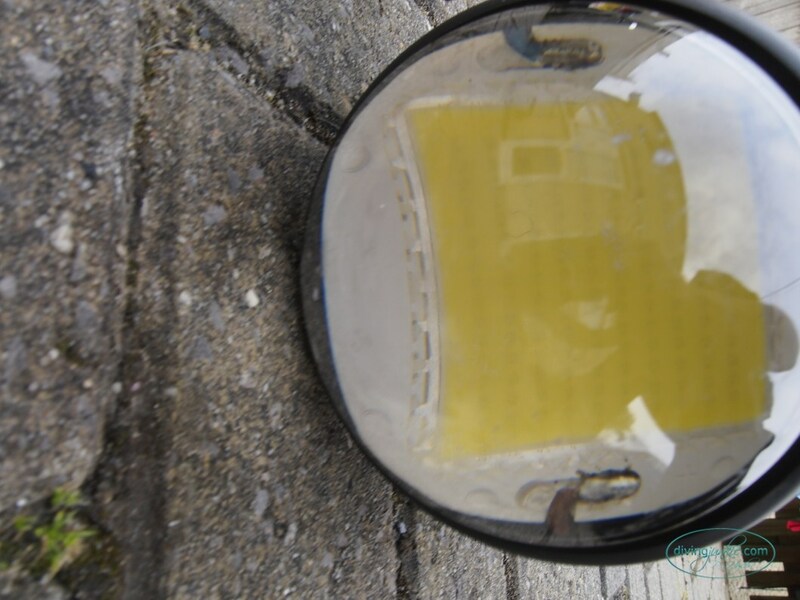 This is the bit I find most interesting, the modular design of the system means that anything that is developed in the future for one of the lights, will fit any that have been made before and even more amazing than that is the fact they can be retro fitted to produce any specific wavelength from UV to IR. I know this is a lot to take in but on top of that is the customer service, Shane didn’t mention if you would get charged for user error but his attitude to customers is an old fashioned one, they come first and anything they can do, be it on the phone if you are in the field, or if you send it back for repair, they will make sure the unit is working again. 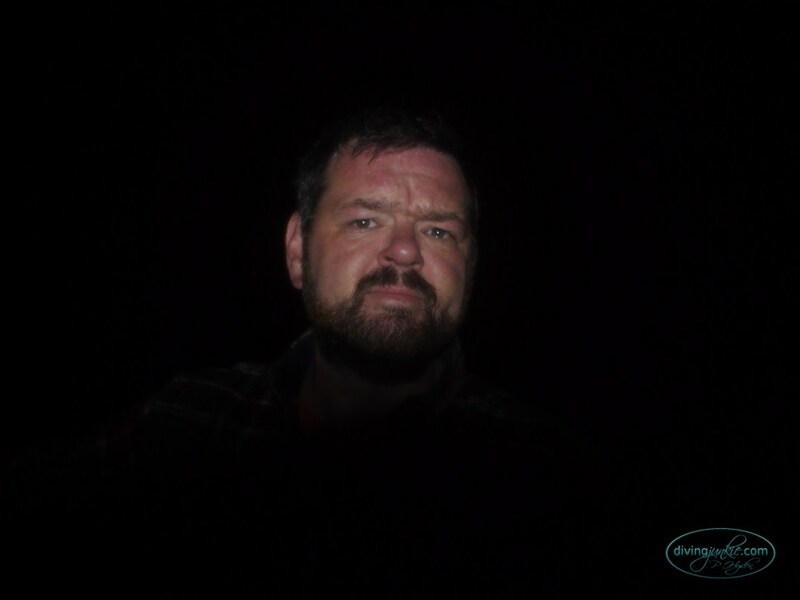 From talking to him for a few hours over many nights, Shane is one of those guys who will stand by his word, and his word as far as the Orcalight range goes is that you are purchasing a light for life. While the purchases (due to cost and the professional market they were being aimed at) have been sparse over the last 9 months, they have sold 70 units of the various versions and have only had 2 returns, both from user error and that says a lot for the quality of the product and why it is a purchase that should (and most probably will) last each customer a lifetime. The estimate on the LED is over 10 years of continued use and the batteries at least over 300 cycles without any degradation, and when Shane finally kills the batteries in the demo models being used in the field, he will have the full lifetime of them well ahead of any customer. 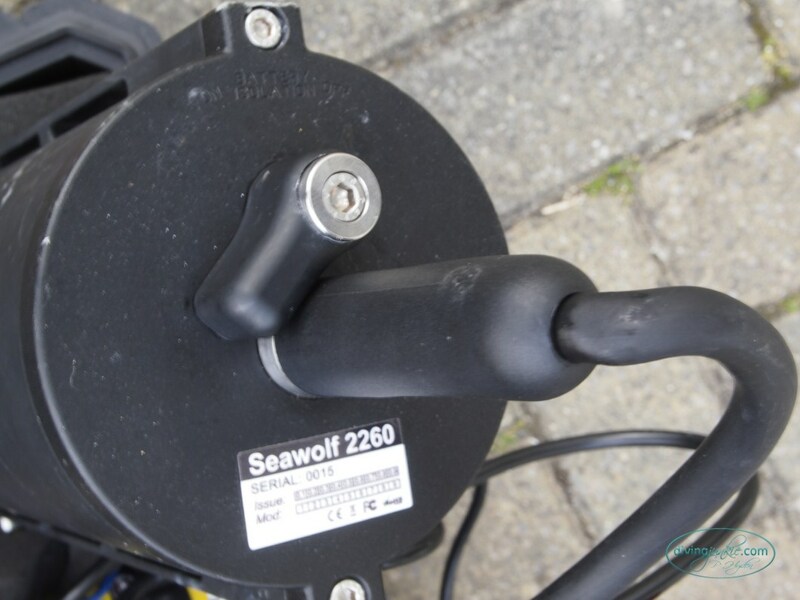 What the Orcalight Seawolf lights look like out of the water when you turn them on. Now I have to remind you that I was trying them to see what 12,000 lumens from the 660 for 50 minutes would be like for the recreational diver, and I am so gutted the timing of being loaned them coincided with a strange weather pattern for a few days where it was pretty windy most days, very wet and the vis was getting worse by the day. 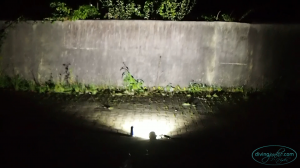 I was so excited the day I got them home that I made a short video (and here my lack of knowledge of planning and skills with a camera show, but I would do so many things differently if I had them again, a tripod for the camera for one), when I tried them in the car park at night this is what I saw and I have placed the video together in this way so you can see the 10,000 and 14,000 settings to get an idea of the power of the 660 at 12,000 lumens at full power. 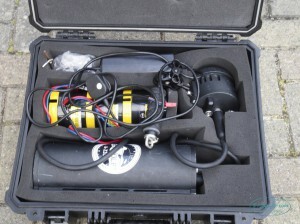 Orcalight Seawolf 2260 1560 dry test comparison from Diving Junkie on Vimeo. I was going to write a separate blog entry about the dive but as we had to bail on it due to the conditions thought I would add it here in brief. Had arranged with Kurt to do a late evening dive, we had chosen the Headland at Newquay to go in off the NE side; our plans soon changed when we got there as it looked mirror like flat on the SW edge at little Fistral with an easier entry down the steps and over the beach at that time of night. After a couple of successful dives before with similair conditions what happened was quite a shock, the seabed off little Fistral starts as sand and pebbles but quickly changes to boulders and a varying range of, sand, smaller boulders and granite bedrock that create gullies below the water line. It was nice and flat above, but this was not the case underneath; if we had surface swam it would have been a different story, we didn’t as we were too excited to get under and try out the lights and after tiring us out, pretty much left us with unusable dive footage and photos from either myself or Kurt by the time we had got very far through the surges from the gullies, a mistake I won’t be making again as it is a dive site rarely used due to heavier sea conditions on that side and why Fistral beach is world renowned for surfing . I am going to put a few of the pictures here though to show the lighting and colours, and I really wish I had better quality images so apologies for them in advance, if I ever get the chance to have the lights on loan again this is one of the other things I would do differently, but the camera was on auto (but ISO fixed at 200) when I entered the water and when we were out I was going to change the settings to various others to try it out, but as I have already mentioned we didn’t get the chance. 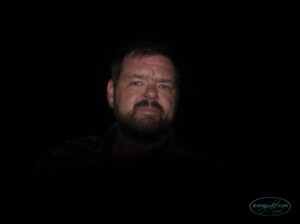 These were taken when we were deciding if we should surface to head back, there was no flash, these are unadjusted but compressed for web, and I was carrying the 2260 and had it on setting 2 at 14,000 lumens. 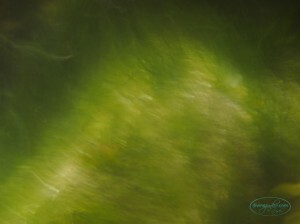 The camera I was using was my Olympus PEN E-PM1 in the E-PT06L housing and Epoque DCL 30 wide angle wet lens. I hope the images show that if I had been in a better position with no surge and been able to have manual control over the camera they would have been exceptional (I can dream) photos, but the colours speak for themselves, as well as the lighting clearly showing that on a night dive, in pitch black, it brought out the natural colours beyond expectations. 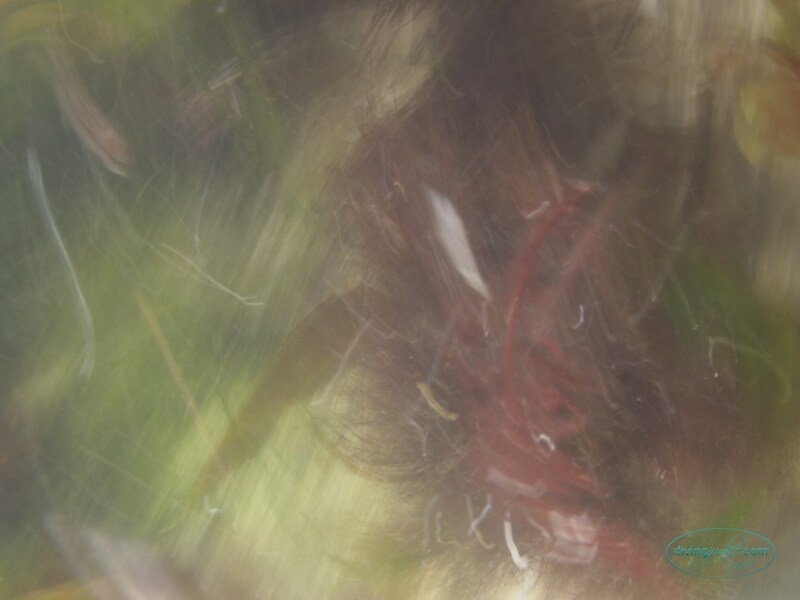 I can not apologise enough for the poor camera skills, and unlucky choice of pics to show you as well as the inexperience of diving a site and not taking into account surges that ruined what was a great opportunity to try something special. After being tired out by the conditions we had a cuppa and stroll up the headland, for such a clear and warm night it was empty of people, would be a great place for watching the stars. 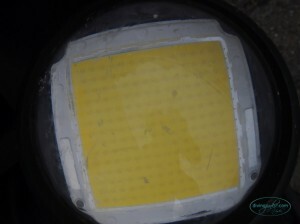 A001 C033 0627YV slow25 from AQUAWORK on Vimeo. Intro La Palma, Isla Azul. from Isla Azul on Vimeo. Orcalight Seawolf A2660 Underwater Video Light Test from Fergus Kennedy on Vimeo. Cuttlefish in Kernow is a short 4 minute video I have edited from the 17 minutes of usable footage I had from a couple of dives earlier this year when I went with Patryk Uram and Paul Allaway to dive the ‘Hole in the wall’ off of Pendennis point, and UB-128 off of Castle beach with Ellie Coates. 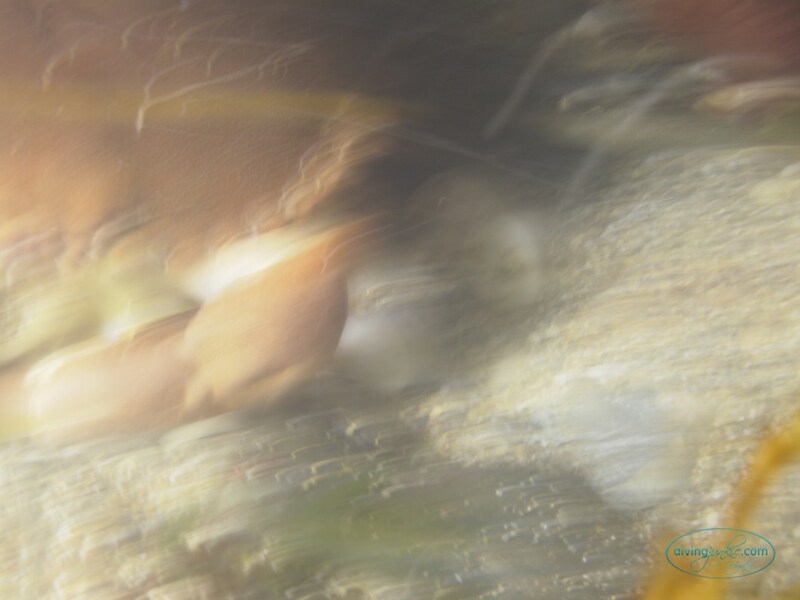 I believe they are sepia officinalis but as it is believed there are at least 3 sub-species of cuttlefish around Cornwall, without postmortem examination I am unclear. Here is the video I have edited together to a track by Jean Lewis, written back in 2006 called Twinkle. Cuttlefish in Kernow from Diving Junkie on Vimeo.